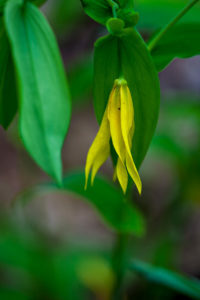 Uvularia grandiflora is a native of eastern Canada and USA, with a range roughly imitating a triangle formed by southern Manitoba, Alabama, and southern Quebec at its vertices. 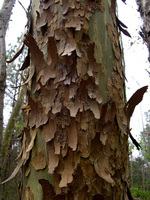 It is one of five species in the genus, all of which are endemic to that approximate region. Fancy a mimosa, anyone? 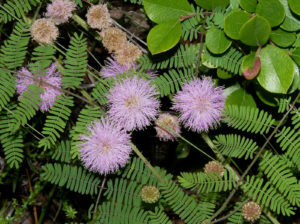 Pictured here is Mimosa microphylla, or littleleaf sensitive-briar, growing as it typically does–low to the ground. It is one of many Mimosa species with intriguing properties. 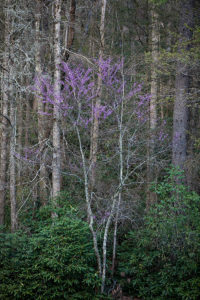 Eastern redbud was featured this past spring, but here is a photograph in habitat. 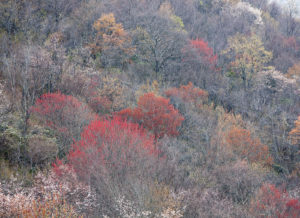 The Appalachian-Blue Ridge Forests of eastern USA are among the world’s most biodiverse temperate broadleaved forests. This region includes Great Smoky Mountains National Park, the US National Park system’s most biodiverse park (over 19000 documented species) and most visited (over 11 million people in 2016).